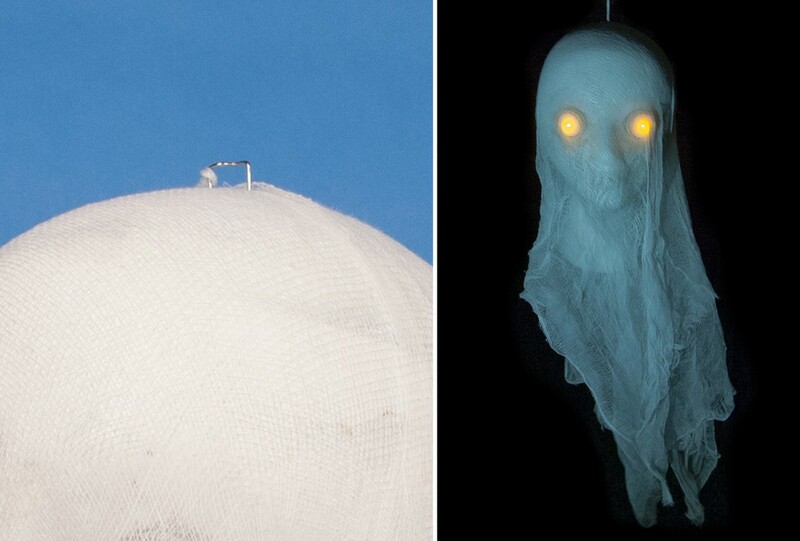 The Halloween decorations that we see on the internet get more and more creative each year. Every house is littered with incredible homemade decor and characters. So this year, you can finally join the ranks of the incredible decorators. 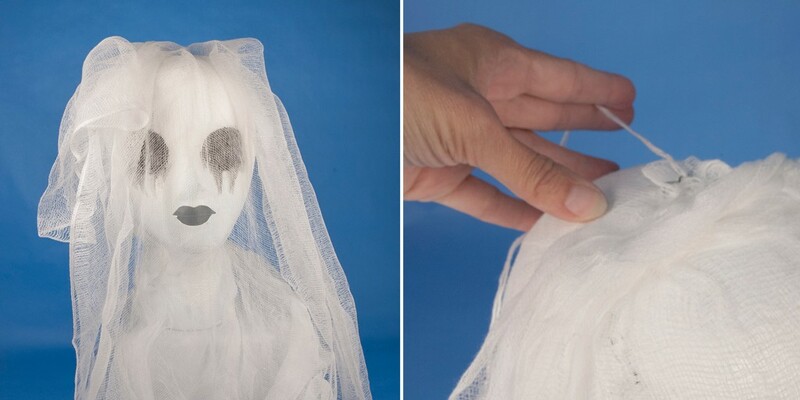 Whether you’re decorating your porch, your living room, or your classroom, these DIY ghost busts are the perfect way to show your love for the Halloween season and the supernatural. 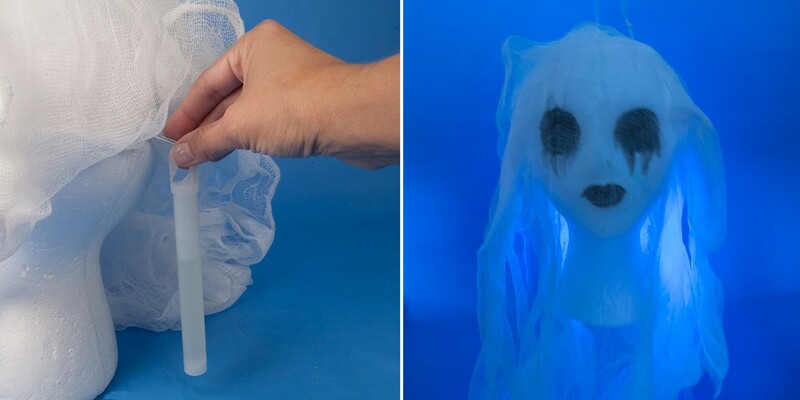 Follow along with these easy to do steps, and by the end, you’ll have a pair of ethereal and ghostly decorations for the season! 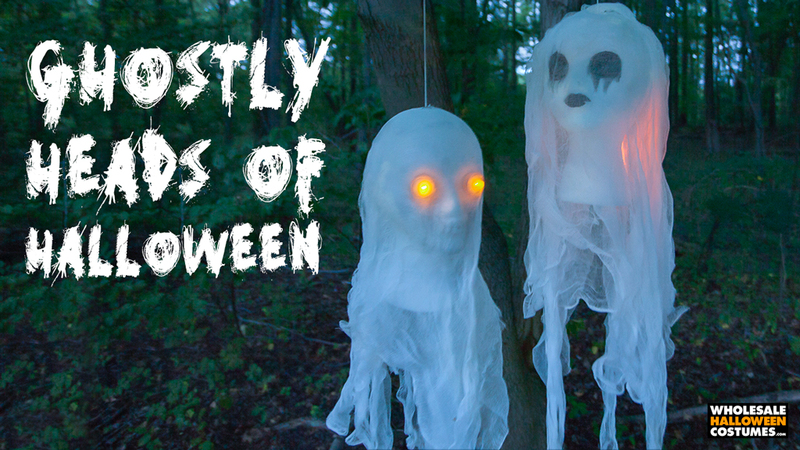 There’s nothing as spooky and perfect for October than ghosts, so grab your crafting supplies, and get yourself ready to make some incredible ghost busts! Step 1. 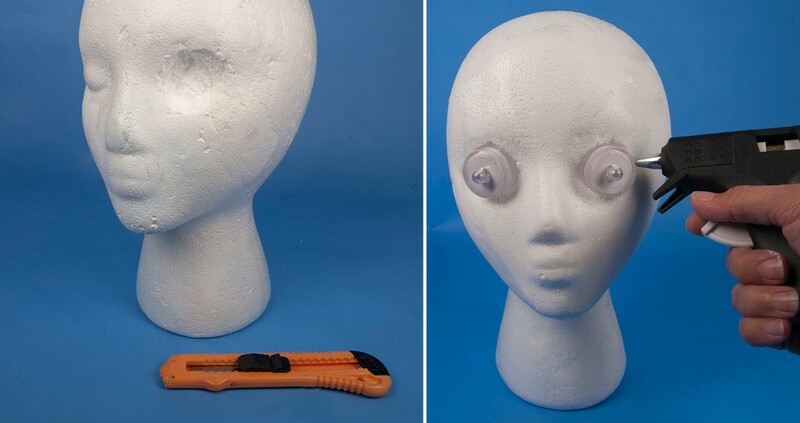 Use the box cutter to carve out holes in the eyes, deep enough to fit the base of the tealights. 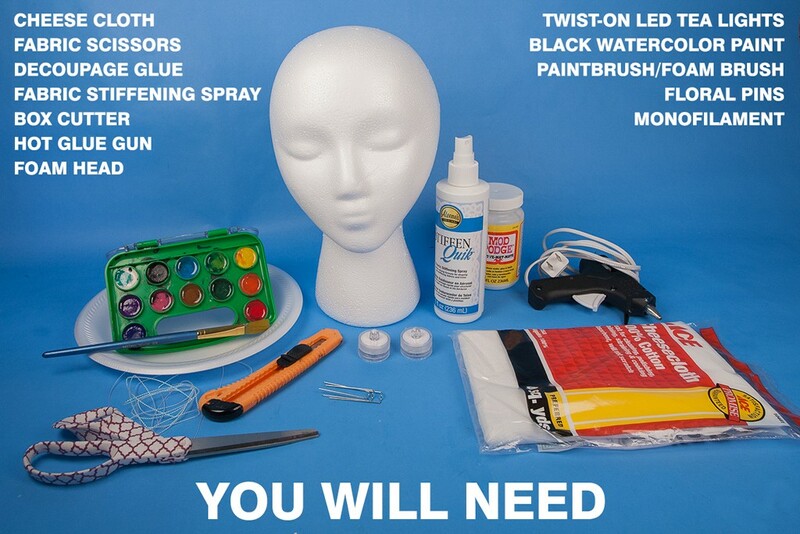 *This is an important step to be sure that the eyes light up on the final project! Step 3. 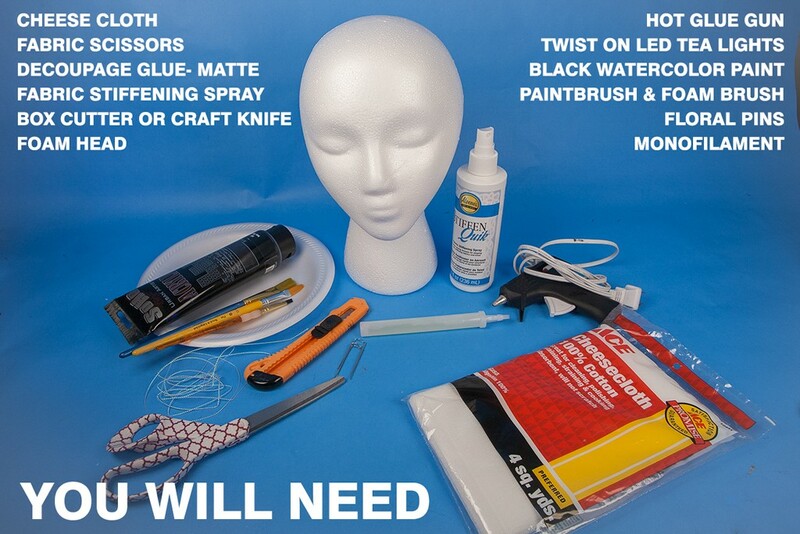 Using a foam brush, cover the foam head in decoupage glue. Step 4. Drape a layer of cheesecloth over the bust. 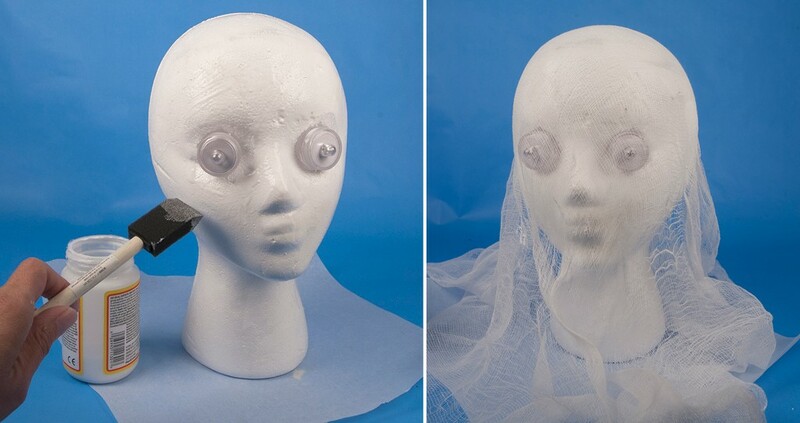 As you press the cheesecloth onto the bust, make sure that the votive eyes are unobstructed, so that you can still gently turn them on and off beneath the cheesecloth. This will seem a little tricky but is well worth the effort. Step 5. Let the decoupage glue dry. Apply a thin layer of black watercolor to the cheeks of the bust, and a few faint lines going vertically across the mouth. This will mimic skeletal teeth. Step 6. 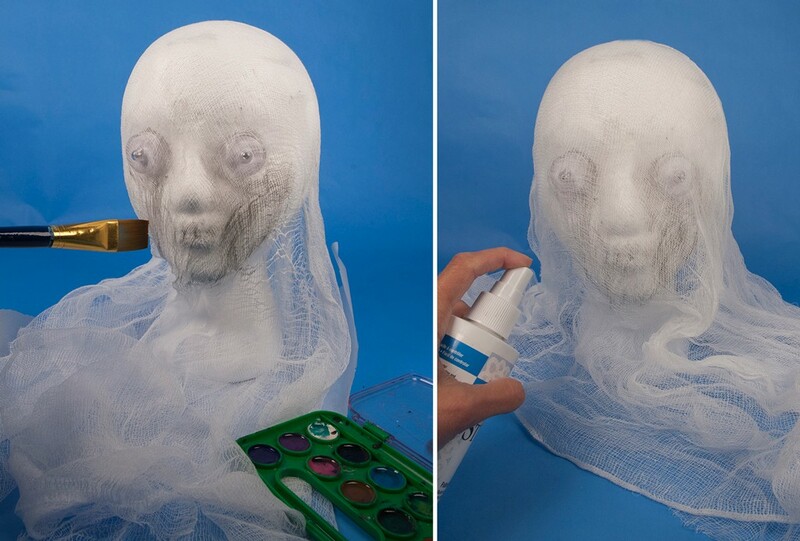 Spread out the cheesecloth along the bottom of the bust, and use the fabric stiffening spray to help the cheesecloth maintain it’s billowy look. Step 7. Insert a floral pin or screw eye to the top of the bust and add some clear or iridescent ribbon for hanging. If using the floral pin, you can apply some hot glue to secure it in place. Step 2. Test the tealights to make sure they are working. Hot glue the bottom of each tealight into the eye sockets. You should be able to turn the tealights on/off by rotating the top, while the base stays securely attached to the foam head. Note: This is an important step to be sure that the bust can be illuminated when the project is complete. Follow Wholesale Halloween Costumes on Facebook, Twitter, and Instagram!